Audisee eBooks with Audio combine professional narration and sentence highlighting to engage reluctant readers! 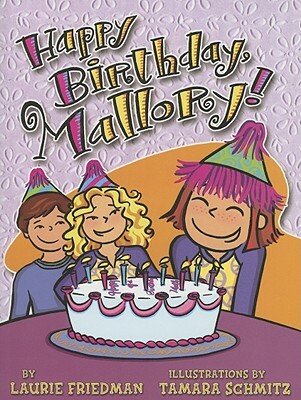 Mallory McDonald is turning nine! And she is ready to celebrate getting the past year overone troubled with moving, starting a new school, making new friends, and sibling rivalry. Mallory wants her ninth birthday to be extra special. So instead of celebrating just one day, she plans an entire birth month celebration. But soon, things aren't going according to plan, and Mallory fears that being nine may be just as difficult as being eight.